Presto is the thirteenth full-length studio album by Canadian progressive rock act Rush. The album was recorded at Le Studio in Morin Heights and at McClear Place in Toronto using producer Rupert Hine when producer Peter Collins ( who had produced the two previous efforts from the band) declined the offer. Hold Your Fire (1987), which was the last album before Presto, was a heavily synthezised affair and a step towards more mainstream pop/ rock according to many fans while Presto marks the transition towards the more guitar oriented style that Rush would follow in the nineties. The music still has lots of synths and people who didn´t enjoy Hold Your Fire might still have a hard time enjoying Presto. There is more emphasis on the guitar though and songs like the album opener Show Don´t Tell and my favorite on the album The Pass are very enjoyable in that respect ( both were released as singles and both charted on the TOP 40 of mainstream rock tracks along with the third single from the album Superconductor). I have a soft spot for the pop oriented Anagram ( for Mongo) too and Chain Lightning is also a favorite. The first four songs on the album does stand out as being the strongest IMO and a couple of the later songs are pretty average. None are bad but they are rather forgettable. The musicianship is outstanding as always. Great technically challenging drumming, strong and powerful basslines, grand open guitar chords and intriguing guitar solos which by then was a trademark in Alex Lifeson´s sound and Geddy Lee´s distinct high pitched vocals. The production is powerful and very clean. Not a typical eighties production and it seems that Rush moved into the nineties before time. 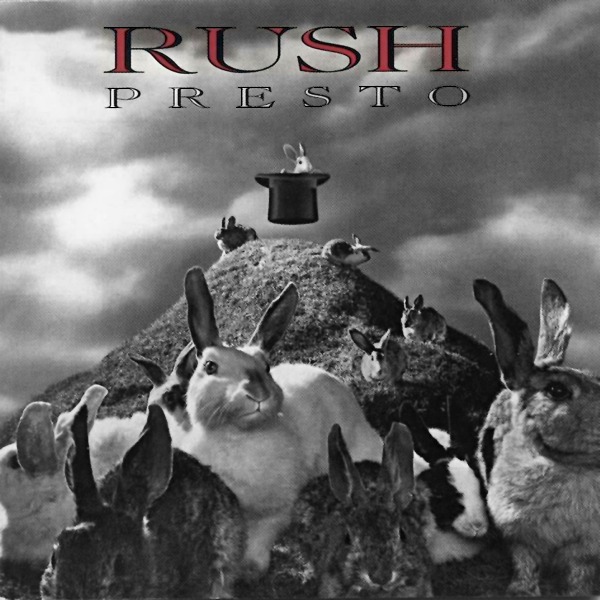 Presto is not Rush best album IMO even though it contains one of my favorite Rush tracks in The Pass. I can´t give more than a 3 star rating though as there are simply too many average tracks on the album. Just short of excellent though ( which would mean a 4 star rating in my book).